If you are citizen of Bandung, or even if you are a newcomer who often visit to Bandung, it is very strange if you do not know “Gedung Sate” (Satay House). 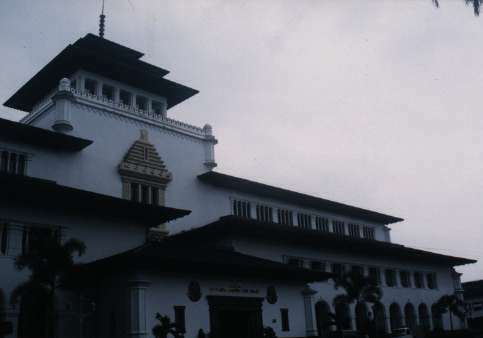 “Gedung Sate” is one of the historic buildings and has become a “landmark” in Bandung, and even West Java, for many years. And we know it as the central government of West Java, Indonesia. 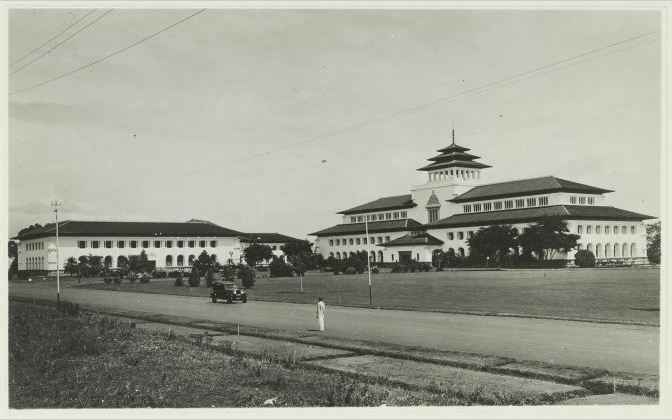 “Gedung Sate” was established on July 27, 1920 in the Dutch East Indies colonial period, and given the name “Gouvernements Bedrijven” or the Central Government Agencies. Architecture “Gedung Sate” inspired from a combination “east meet west”, for example: the west wing of the building modeled after the “renaiscance” Italy. While the middle-storey tower, inspired by Thailand’s pagoda. At its peak there is a “skewer” with six ornamental fruit skewers (Another version mentions rose water or jasmine), which symbolizes the six million guilders – total cost used to build “Gedung Sate”. “Gedung Sate” was built facing the mountains “Tangkuban Perahu” on the north side of the building. Thus a glimpse of history “Gedung Sate”, which we love. For more details you can visit the “Wikipedia” or “Djawa Tempo Doeloe” by Mas Priambodo Prayitno. As the saying goes “do not know it is not love”. Hopefully more of this post make you more familiar with “Gedung Sate”, and become more appreciative of historical heritage for the citizens of Bandung. This entry was posted on Saturday, August 28th, 2010 at 10:00 pm	and tagged with gedung, gedung sate, sate and posted in History. You can follow any responses to this entry through the RSS 2.0 feed.